Yes, it's true, I have another side --- the landscape designer side of me. 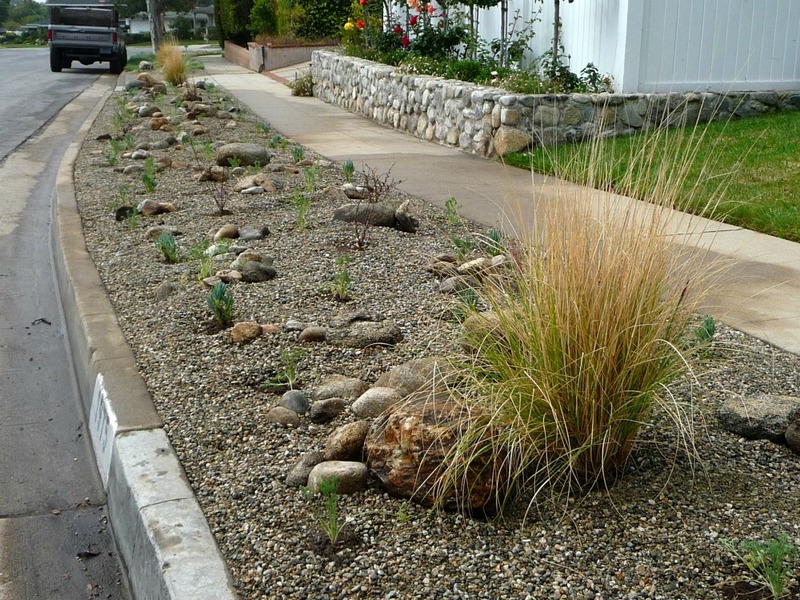 I have formal training in Landscape Architecture, and I wanted to share with you my most recent project for a residential sidewalk planting strip. 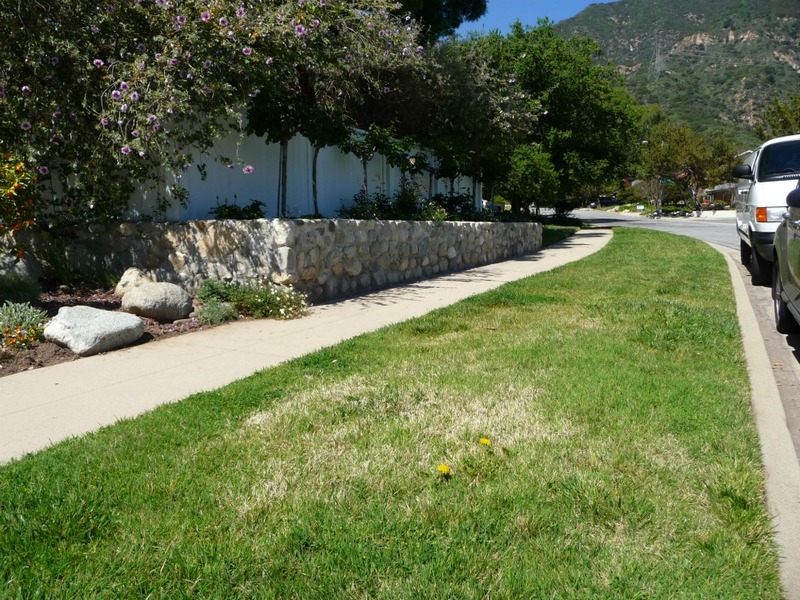 My client wanted me to replace the strip of grass they had by the sidewalk with drought tolerant plant material. While you may still see grass on the front lawn, this project is just one phase of a multi-phase project my client is planning for their property. Slowly but surely, the look will change. But for now, they wanted to start with the smallest part of the project. 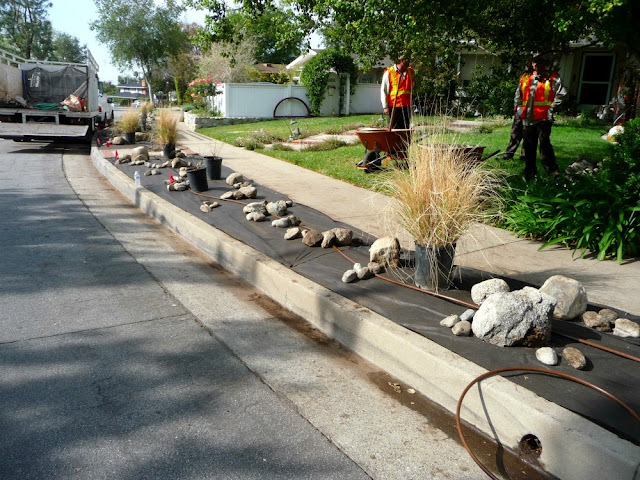 Before: sidewalk planting strip covered with turf. Eschscholzia californica (California Poppy) - native to California and is the state flower of California. Blooms from spring to summer with bright yellow to orange flowers. 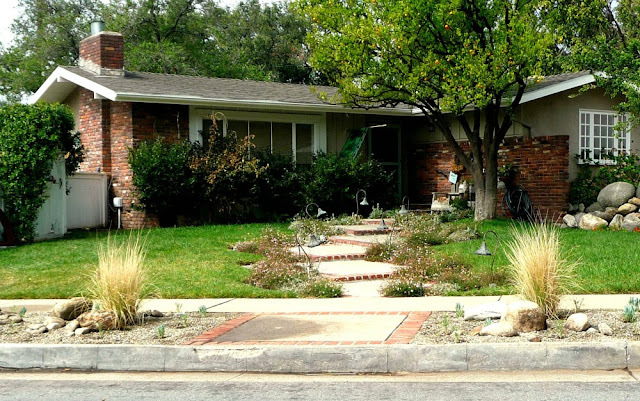 Drought tolerant. Muhlenbergia rigens (Deer Grass) - native to California, drought tolerant, tight clump of green grass about 4 feet high and wide. Purple plumes appear around autumn. Senecio mandraliscae (Blue Chalksticks) - succulent ground cover native to South Africa, blue leaves. Drought tolerant. Berberis thurnbergii (Japanese Barberry) - deciduous shrubs with thorny branches and deep purple leaves. 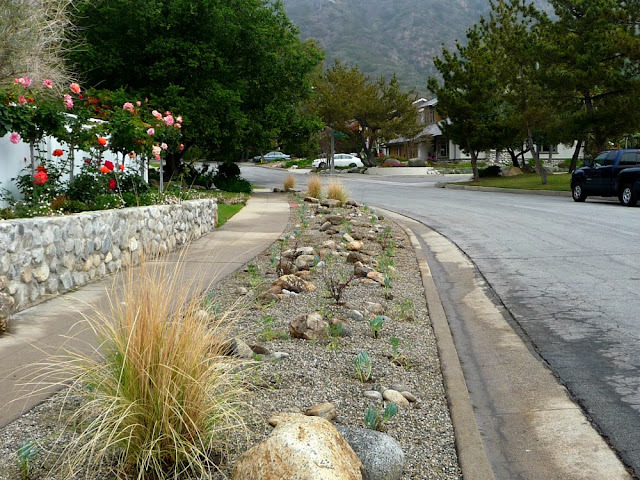 With only four plant selections, you can achieve a beautiful landscape. Most of the time, less is really more. All of the plants above take full sun and require very little water once established. The grass was removed, and the soil tilled. Landscape fabric was laid down to prevent weeds. Drip irrigation line is being laid down as well. The owner had a lot of boulders and rocks which we incorporated into the design. 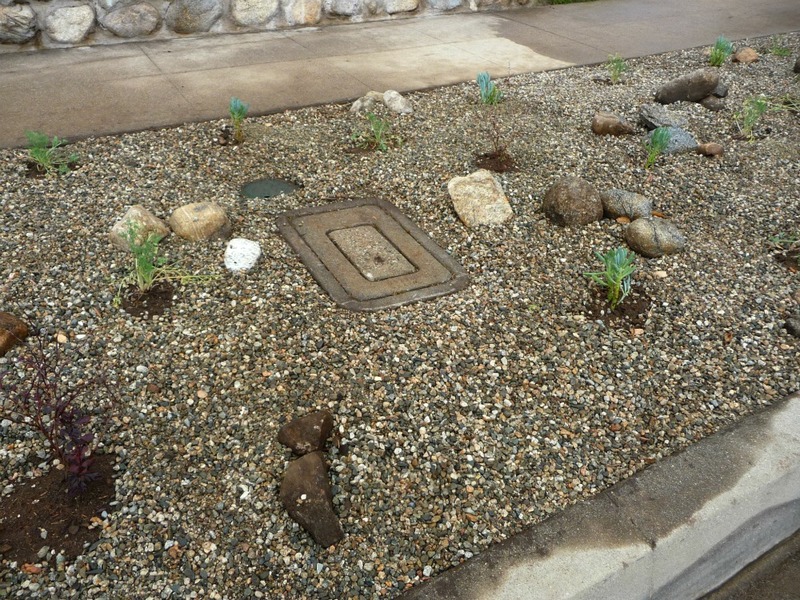 Make sure you leave access for utility elements, in this case, the water meter and the valve box. You want easy access for these when it's time to read the meter or service the valve. If you are on a budget, buy the smallest plants. For this project, we used flats for the Senecios instead of one gallon sizes. They will eventually grow and fill in the bare spots. Always consider how big the plants will grow. This planting looks bare right now, but in time it will flourish. Mark the entrance to the house. Here I used the tall Deer Grasses to bookend the entrance. Doing this almost tells a driver not to park the car in between the grasses as that leads to the front door. The existing brick pattern on the planting area also helps in marking the entrance. It almost looks like a doormat, if you may. I also used the grasses to mark the boundaries of this long property. Doing that gives the property its identity, and it marks where the property begins and ends. Consider color when you group plants. The red/purple leaves of the Japanese Barberry will work well with the blue leaves of the Blue Chalksticks and the orange flowers of the California Poppies. 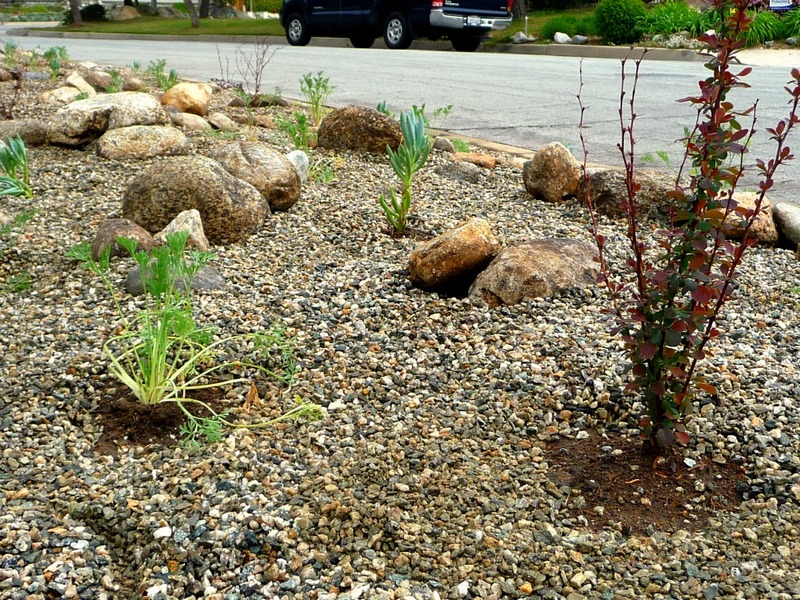 My client wanted a natural look and opted for pea gravel as ground cover. Create vignettes. Here are four different examples of how I achieved that. The grouping of boulders against the tall grass and ground cover makes an interesting composition. As the plants grow and fill in, the vignette will be complete. 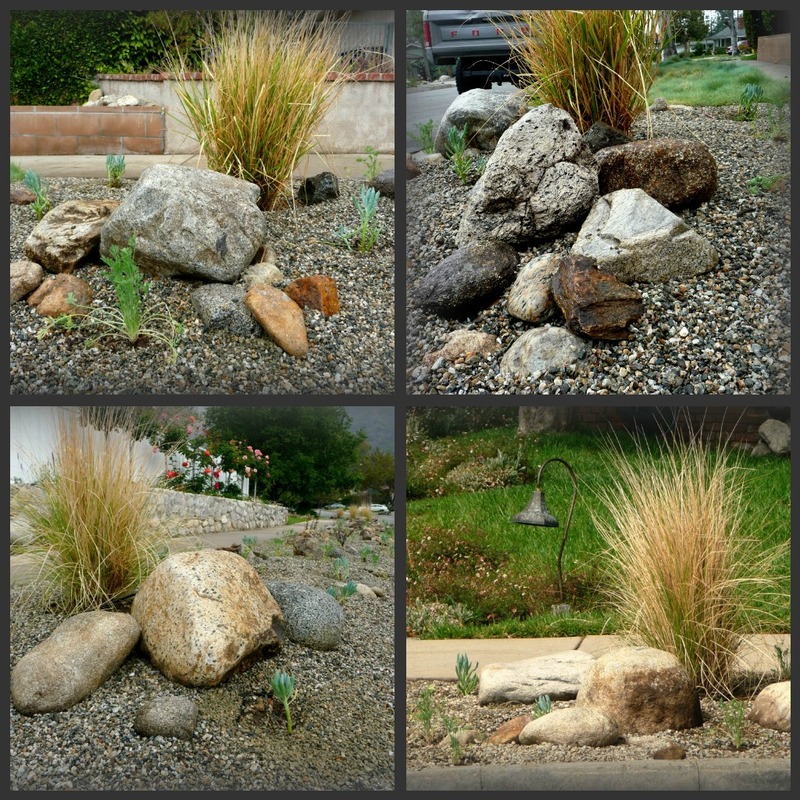 After: From just grass, to a more dynamic grouping of plants.